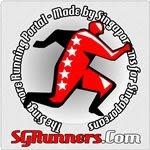 My Running Addiction is an online running site base in Singapore that started in January 2009 which aims to bring together runners. Its objective is to provide Running Enthusiast with information on running such as gear review and training tips, provide updates on forthcoming local and overseas running events and motivate runners to attain their running goals along with building friendships among those who enjoy the simple pleasures and healthy rewards of running. Provide up-to-date information about the running scene whether local or overseas, from running events, training tips and running gears reviews. Do you have any prev post/tips on best way to train yourself before joining a marathon? =) Would love to hear your thoughts. Thanks. Thanks for the reviews on te different kind of shoes. Just wondering if you know where salomon shoes can bebought. I am starting on trail running soon. do u know if there are any groups who run regularly? Hi just read ur review on the XR Crossmax. seems like a decent pair for trailrunning. How’s the performance on road? hi! just curious if i can order from you an achilles barefoot sandals? Understand somebody does review of running shoes. Please contact me at 97503443 to review our product. See website. Thanks.